While Roo’s New York apartment is not large, there are plenty of elements to keep a baby entertained (or in trouble). Today, Roo is doing one of her most important jobs: clearing the books off the book shelf. 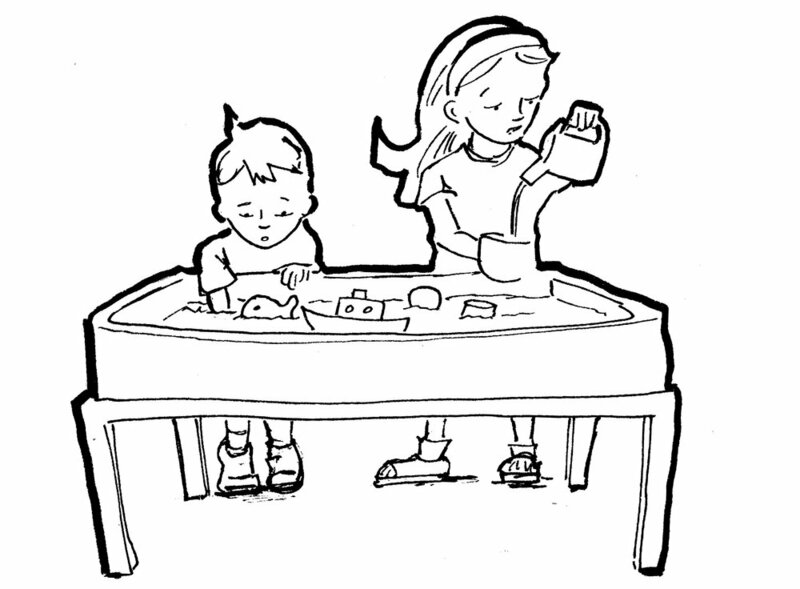 It’s monotonous work, and her mind drifts to other topics, like: How much fun is a water table? Splash and pour and play. And if you had such an opportunity in your own house, wouldn’t you be driven to it daily? Thrice daily perhaps? Roo knows where the “water table” is. She also knows she’s not to go into that room unaccompanied. After Benny brushes his teeth for the fourth time with ‘Yum Yum Bubblegum” toothpaste (for superheroes take personal hygiene quite seriously) or Charlie wanders out preoccupied with a stack of baseball cards, the door might be ajar. And when she does, the question becomes: Just how fast can a baby crawl to get somewhere she shouldn’t be but desperately wants to go? Time to decontaminate the baby. After all that, Roo finds herself in the fully submersible water table; Roo for the win. Thank you for following Roo’s adventures: tune in on Wednesdays and Saturdays for more. Join the email list to get a link to each new post. 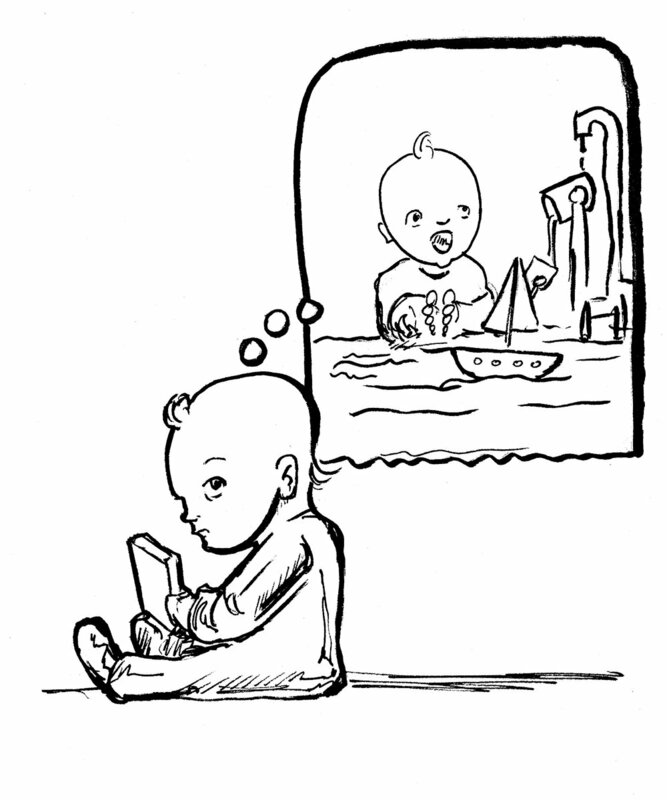 Jim Fenzel is a stay-at-home dad artist and writer in NYC.